It’s no secret that today was a pivotal moment in Motorola’s history.Â Most analysts and pundits would agree that today was going to be one of those “make or break” days for the company.Â What’s up their sleeves?Â Will they bounce back?Â Are they ready to step back into the spotlight?Â In other words, it’s a really big deal to Motorola in how they are viewed going forward. So how are they being viewed now, merely hours removed from the conference?Â We’ve compiled a list of what the guys and gals from around the internet are saying about today’s unveiling.Â It’s not all-encompassing, but it should give you a good feel for how people are looking at Motorola now.Â This comes from people who were able to get their hands on one as well as people watching from the sideline. Engadget Mobile – UI is definitely faster than any factory ROM we’ve used before on any Android device.Â The device feels absolutely fantastic overall. Pictures don’t do it justice… feels like it’s fashioned from a solid block of metal.Â The keyboard feels great. Truly stellar, actually — and we don’t think there’s much room for complaints about layout, unless you’re really into the dedicated horizontal number row. Gizmodo – Compared to the G1 this thing is svelte…The sliding mechanism feels solid and desirable, as in, I want to open and close the thing all day just to hear the sound. The version I saw was white, and the finish was classy without being ostentatious, and definitely not cheap feeling. There’s a heft to it, but it’s definitely not heavy. Sascha Segan, PC Mag – Forget the hardware. The Cliq is physically boring. 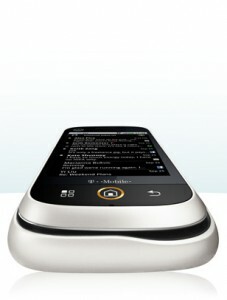 Motorola’s real news is Motoblur, its social-networking-centric variant of Google’s Android OS. 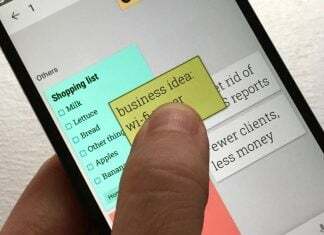 Maribel Lopez, head of Lopez Research-Â …User interface, which will be applied over the standard Android operating system and tie together personal information from different social networking sites, surpassed those by Palm Inc. and Apple. The Cliq is a good move for Motorola but they need more than T-Mobile for this to be a raging success.Â Â At the end of the day, there is a huge opportunity out there and now Motorola has a chance to benefit from it. Avi Greengart, Current Analysis – It’s hard to underestimate how important this launch is for Motorola as a going concern in terms of being a handset vendor. When you look at it from a carrier-by-carrier perspective, and look at the experience that Motoblur provides, that should be enough to keep Motorola going. Eric Zeman, Information Week – I have to be honest, the crowd here at the GigaOM Mobilize Conference seemed a bit underwhelmed by Motorola’s announcements today. From my perspective, it (MOTOBLUR) is exactly like Palm’s Synergy contact management system. The device received a luke-warm reception at most from the packed audience here at the conference. Granted, we didn’t get to see too much about it, but Jha was sure to note that this is the first step from Motorola as it takes the long road back to recovery. Therese Poletti, MarketWatch – It appears Motorola is trying to take a page from its last hot phone, the Razr… The name itself, Cliq, seems to be aiming at teenagers or Paris Hilton wannabes. Clearly, the company is trying to capitalize on the social networking/Web 2.0 trend. It’s a strategy that could prove risky. John Paczkowski, All Things D – “It is the first of a broad line of handsets, all running Android and Motoblur, that will be targeted at different customer segments around the world. A wise strategy in the current market? Who knows? But at least itâ€™s a step in the right direction. Now it’s your turn to weigh in.Â We want to hear what you think of the Motorola Cliq and MOTOBLUR.Â Sounds off in the comments!